Many people are making extraordinary films or online content for a fraction of the cost of “traditional” filmmaking tools. That said, consumer cameras are not without their flaws. Join me as I show you how to assemble your own camera rig, and why you might want to. The term “rig” is used quite a lot and can mean many different things. Generally, a rig is a self-contained unit that contains a camera and any equipment necessary to produce films (I’m using the term films quite loosely here, home movies included). 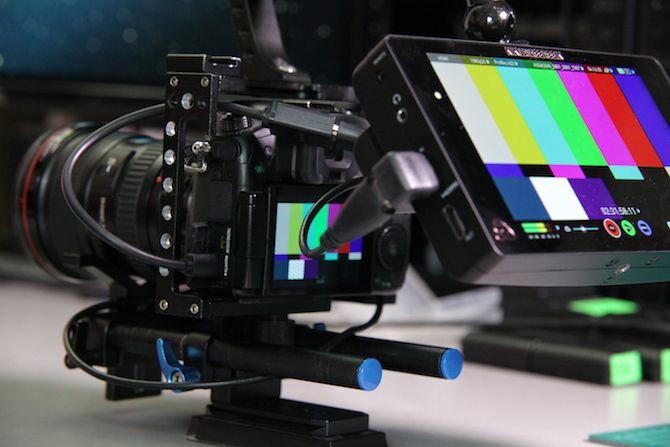 Rigs are even more important for compact mirrorless cameras. 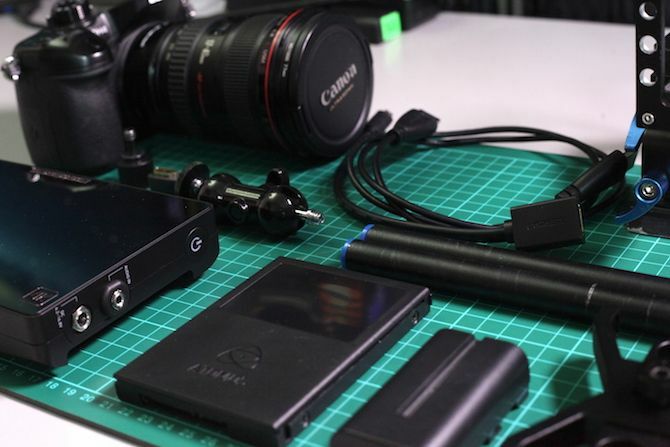 Their bad ergonomics, poor sound, and small size mean you may need myriad external accessories to improve your filmmaking — all these accessories need to mounted somewhere, and cameras often don’t have enough room. Mount various video production accessories. Make things easier to maneuver. If you’re looking to sell your videos online, you may not need a rig. Sure, they help, but they are not required. Anyway, let’s get started! There are so many different accessories, cameras, and support systems that it is impossible for me to recommend a system that will fit your requirements 100 percent. The best way to build a rig is to start with a baseline, and then expand it in a modular fashion as your needs grow. The first place to start is with a cage. Cages are a bit like a case for your phone: they protect your investment from shocks and knocks, and they provide mounting points for nearly anything else. Handles — Do you want additional handles? Handles on the top or side make the rig easier to carry, and provide further mounting points. 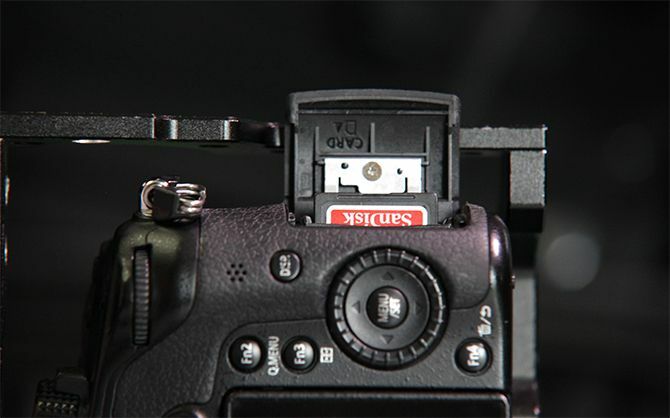 Battery access — Is there enough room to remove the battery while the camera is in the cage? It’s annoying to have to remove the camera in order to change batteries, and modern camera batteries run out quickly when shooting video. Memory card access — Like the battery access, can you easily change the SD card when it becomes full? Most cages come with a tripod mount on the bottom, much like the one on the bottom of your camera. Many cages also come with various holes for bolting additional equipment on. These are nearly always a 1/4-20 thread. This is exactly the same as your tripod uses, and is a standard. The other bolt size standard is 3/8-16. This is slightly larger, and is often found on larger pieces of equipment. It doesn’t hurt to purchase a packet of bolts — these can often get you out of a tricky mounting situation. Many cages come with a 15mm rod system or mount. These rods (sometimes known as rails) have a diameter of 15mm, and are another standard. There’s no need to spend big money on rods, as all but the absolute cheapest are very similar. Sometimes super cheap products can have defects that make fitting accessories difficult. Rods come in various different lengths. I’ve used 8-inch rods here, but you can purchase any size you like — just remember how you will store your rig. Lens support — A particularly large lens may need additional support. 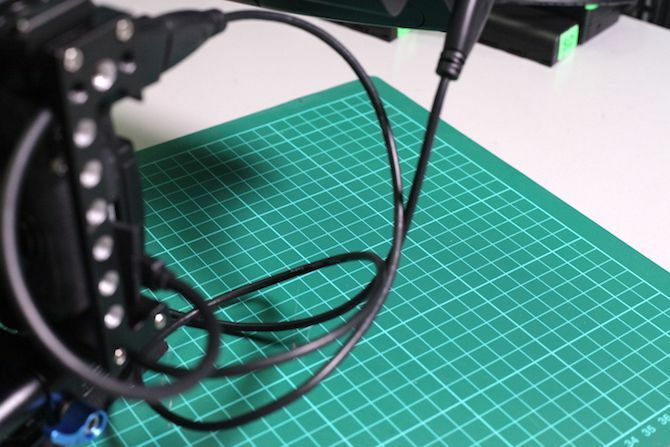 Shoulder pad — You’ll need one of these to shoulder mount your rig. Monitor mount — Using an external monitor? Use one of these to attach it. Shoe mount — You’ll need these to mount microphones or other shoe-mounted accessories. All of these components come in 15mm rod or 1/4-20 bolt variants, so the hardest part of using them is choosing what you want! Again, if you’re looking to build a YouTube studio, your requirements might be different. Make sure you’ve covered the basics first. Once you’ve chosen your parts, it’s time to assemble your rig. Start by installing your camera into the cage. Cages nearly always attach to the bottom of the camera with a small bolt that will be included. Once installed, go ahead and add your 15mm rods. These often attach through a hole in a mounting box, which then tightens down with a small lever on a bolt. If it won’t fit, double check your bolts are backed off. At this point, your rig may not be balanced — don’t worry if it leans forwards or backwards. Once additional accessories are added, these will help to balance it. If you’re not adding any more accessories, move the rods back, so the cage will sit at the font of the rods. Go ahead and install the tripod plate to the bottom of the cage, and install the lens support if you’re using one. A double ballhead is a very useful accessory. These can be mounted nearly anywhere on your cage, and can quickly be loosened or tightened to adjust a piece of equipment such as a monitor. Install these mounts and your monitor if you’re using one. Finish your rig by installing any accessories you may have: lights, microphones, or any other accessory. Make sure you connect any necessary cables, and keep these neat or else you’ll end up with a tangled mess. Be careful when using an external monitor. Most consumer cameras use micro-HDMI or mini-HDMI connectors. While these work well, they can often be fragile and easy to damage. Consider purchasing a right-angle HDMI adaptor to reduce the chances of this happening. If you don’t want to use a cage for whatever reason, you can still build a rig. You’ll need a quick release system (much like the one found on your tripod). 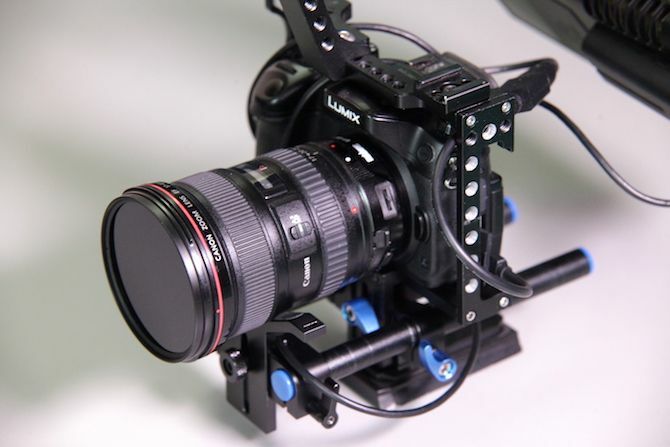 Mount the quick release system to your 15mm rods, and the quick release plate to your camera. You’ll have to get creative with less mounting points than a cage. I recommend purchasing extra long rods and plenty of 15mm clamps to mount your accessories. 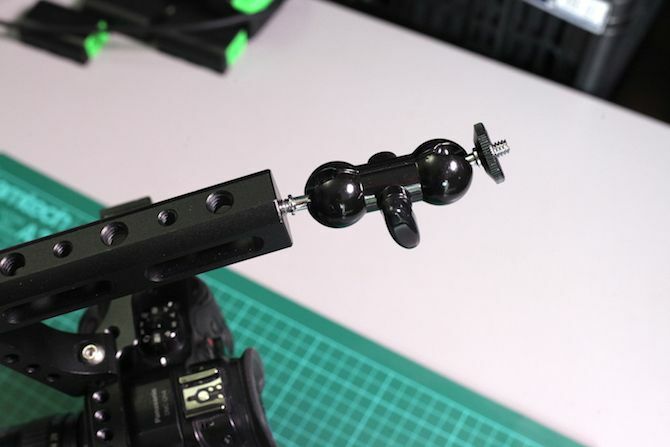 The benefits of using a quick release plate instead of a cage are that it is much faster to change cameras, and it can be easier to access the camera controls. Follow focus — These devices make it much easier to manually focus the lens, but they can often be expensive, and are not really needed for a one-person operation. 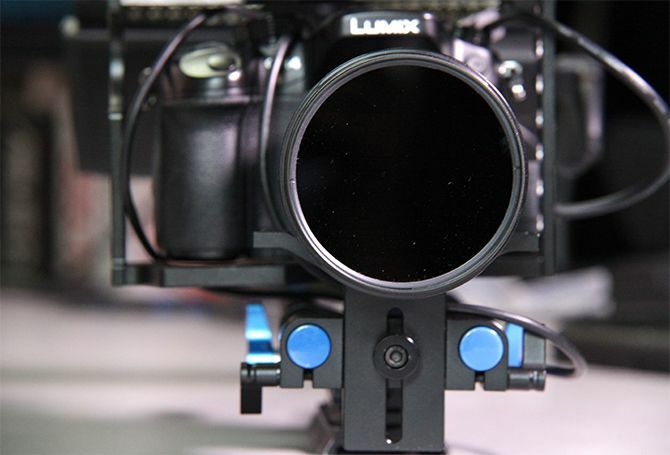 Matte box — Sometimes known as barn doors, these devices reduce glare from the sun. While they can be cheap, a sunhood for your lens can often do a similar job. Once you’ve got your rig setup, make sure you have the rest of the equipment needed to start a YouTube channel. 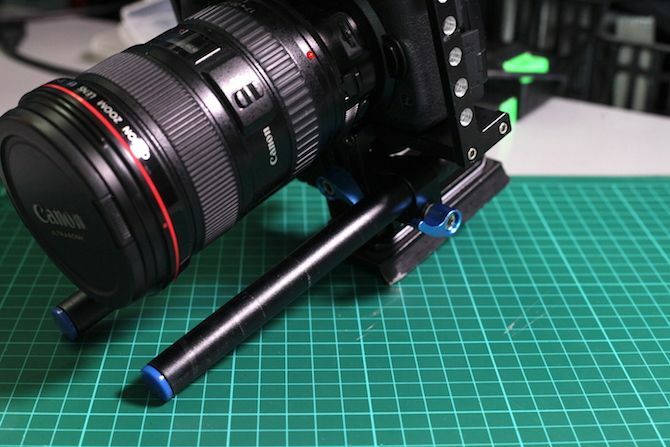 Be the first to comment on "How and Why to Make Your Own Camera Rig"